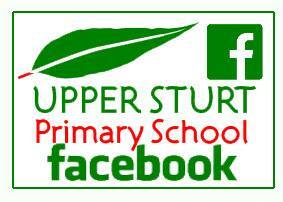 Upper Sturt Primary School is the perfect bush school site. 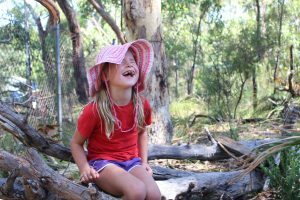 Our beautiful bushland is inspirational for nature play-based learning, bringing the latest wellbeing and engagement research together. Our school is ‘small by design’ with a whole school approach within a personalised framework for each child. We strive to help children develop competent essential skills and emotional wellness. PERMA (Positivity, Engagement, Relationships, Meaning, Achievement) underpins our harmonious culture. Respect and empathy, mindfulness and expectations of personal integrity and quality extend to attitudes of kindness and caring in our community. Our journey to becoming the first public R-7 bush school in Australia has come at a time when there is strong evidence that children need time to play in nature, the benefit being that this time fosters life-long learning skills and decreases anxiety. Imagination, fascination, inquiry, creativity and problem solving feature in the opportunity to play and learn in the bush. With a high adult-to-child ratio, children receive the individual attention they need to achieve their personal best. We believe literacy and numeracy are the foundational skills to support independent learning and confidence to communicate in our ever increasing global community. The decision to be WiFi free fits with our environmental health focus, without limiting children’s access to research or other required internet services.